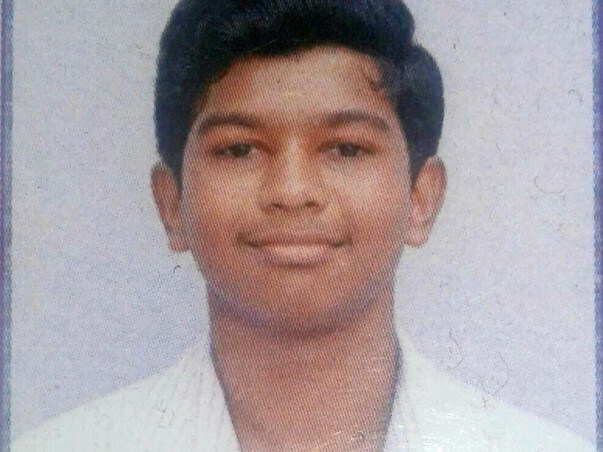 Udhaya is the only son of Murali who does a blue collared job in Tirupur. His mom is a homemaker. He is studying 11th grade. While studying in the terrace of a two storied, he fell down. He fell in a seated position above the iron gate of the house. 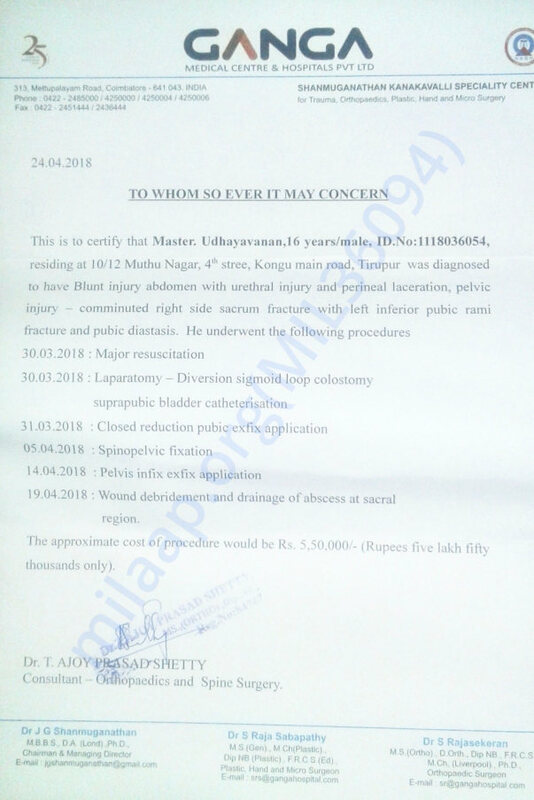 So his lower body is severely wounded with lot of fractures. As both the parents earn very low wages, they couldn't afford the money needed for the treatment. Please help Udhaya for a come back. Thanks! It gives me immense pleasure in informing you all that Udhaya is doing well now. He has been discharged. We are all hoping to see him recover soon. He has to undergo another operation in a few weeks and we're yet to get the dates for the same. Once, he's healthy enough, the doctors will take a call on when to perform the next surgery. Please keep supporting and praying for him. Thank you once again.